The 5th Carnival of Space is Up. The 5th Carnival of Space is now up. The theme this week is "Space is Amazing", and there are some amazing posts at the Carnival. There is the caves of Mars, Mars animations and a whole lot more. Pop over and have a look. Comet Lovejoy has an offical designation. Terry Lovejoys second comet is now officially C/2007 K5. There is no proper ephemeris yet, you can get a provisonal ephemeris here, and John Drummond has an image of C/2007 K5 and a preliminary ephemeris over at the Possum Observatory. Terry descibes his disovery here at Ice in Space. At last I got some extended time with "Don" the 8" scope. I was also lucky enough to catch an Io Shadow Transit. You can't see Io itself, it's too dim (see Europa for comparison), but the shadow stands out well. This was also given that the conditions were pretty appalling as far as turbulence and wind were concerned. I look forward to a really still night with low turbulence, then we will see what "Don" can do. The animation is here. I also spent a fair bit of time setting up the polar alignment. It still drift a little bit, but I can take an image, go off and make a coffee, hunt for Vesta with binoculars and STILL Jupiter is in frame. That makes life so much more easy. With a bit more practise I bet I can hit the polar spot much more closely. However, it doesn't help that the mounting sinks a bit into the lawn. This means I probably can never get it spot on. Terry Lovejoy Does it Again! Comet TJ0001, magnitude 13, picked up by Terry Lovejoy. Congratulations! It's currently in Lepus (see chart, click to enlarge). You can see an orbit simulation here, and you can get an ephemeris of TJ0001 here. The western evening sky as seen in the Southern Hemisphere roughly an hour after sunset on Wednesday May 30th (click image to enlarge it). Venus has been zooming through Gemini. As I write, hail is battering down outside, so I've missed most of this. 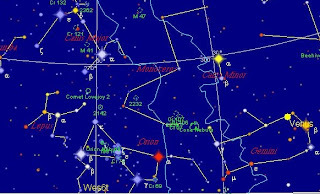 If I am lucky, the skies will clear tomorrow and I can see the "Bow Of Gemini". The Bow will be made of of Veuns, and the bright starts Pollux and Castor. The Arrow is made from Mercury and Pollux. It should be quite sight. Venus is only half a fingerwidth from magnitude 3.6 Kappa Geminorum, so that should look pretty cool as well. Remember the "Only You Can Save The Earth" competition I had? Well, EldestOne and I finally got around to, well, not deciding. Mark and DavidP, can you send me a contact address via the email address here. Stuart and John, I already have your email addresses, I'll get in contact with you soon. Then I can send your copies of Sky&Space winging accross the world! Sorry about the delay! It's been pretty dire astronomy wise here, with the weather being good for the garden, but not for observing. couple this with exam time and kids with the flu, and not much observing happened recently. However, I got one chance to get "Don" out and take my first Lunar images with the 8". As you can see they are very nice, but not spectacular. It turns out the location of the motor drive is such that anything in the western sky below 30 degrees is out of bouds, as I can't lock off the mounting. So I "reverse polar" aligned the scope (ie pointed it North insetad of South), which meant I could now image the Moon, but the clock drive was useless. So these images are drift images, with a lot of turblulence. These images are a stack of 30 from an AVI, stacked with Registax. Hopefully I can have a go later this week, with the clock drive enabled. One of the side effects of the cloud and rain that has been limiting my astronomical adventures is that it's also cold and flu season. This means of course that the kids have come down with various aliments, with late night trips to the pharmacist thrown in. One positive side effect is that we have finally finished the Meccano robot. Middleone got this as a present from Santa last Christmas, and we have been slowly putting it together ever since. The robot is beautifully engineered, but the manual writers need to consult with the Ai2 robot folks. Both the robots had complicated instructions, but the Ai2 people have an online site where you can read more detailed instructions and watch videos of the construction process. With the Meccano robot, I've lost count of the times we had to backtrack when some obscure and hard to read instruction lead us astray (today we had to disassemble the arms to swap around near identical screws that really needed to be someplace else. Finished, the Meccano robot is impressive, but unlike the Ai2, which has several preprogrammed routines, the Meccano robot has only one preprogrammed dance, and no way to program it in any other way, whereas you can write your own programs for the Ai2 . Still, it's great to see the robot go through its paces. Can Santa be convinced to bring Leggo Mindstorms next year. Where's Vesta? Well, roughly where those yellow lines are just below Scorpius (click to enlarge). I took this image with my Olympus digital camera just before Moonlight overwhelmed Vesta, and you can *just* see Vesta on the 1 Mb original (not on this web version though). If you want to see Vesta with the unaided eye, you have to wait until 5 June, when the Moon rises sunstantially after Vesta. Of course you can see Vesta in binoculars and small telescopes even in the Moonlight, so don't let the Moonlight stop you from looking. As part of testing the capabilities of "Don", the 8" scope, I took this image of Vesta. 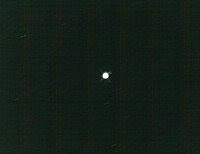 It's not very exciting, the magnitude limit of the webcam means that there is nothing else but the bright blob that is Vesta in the field (the streaky bits are hot pixels in the camera). 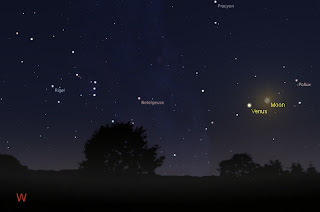 Unfortunately, its not until arround June 17 that Vesta goes near any star that will show up in the webcam. The 4th Carnival of Space is now open over at the Universe Today. 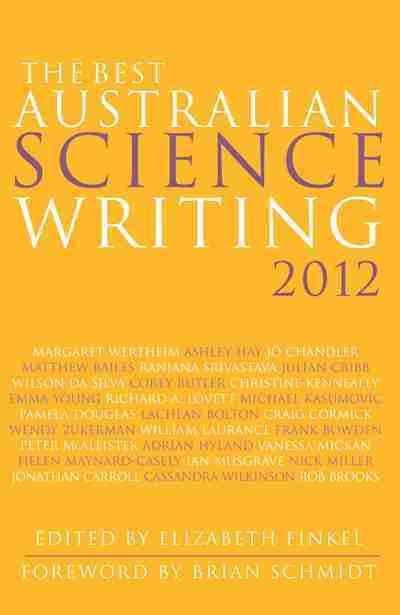 Mars rover longivity, crashing galaxies and science and science fiction and much more. Pop over and have a look, it's a cracking read. The Universe Today wiil be hosting the 4th Carnival of Space. There is still time to get an entry in, so why not pop over for the instructions on how to enter. Comet Lovejoy is too faint to see without serious amateur instruments at the moment, but Gerald Rhemann has a nice shot of the comet at Astrostudio (may take some time to load). The scooting spot I found in the STEREO imaages was 6 Hebe, checkout Wentao Xu's webpage with astrometry of 6 Hebe. Very nice. 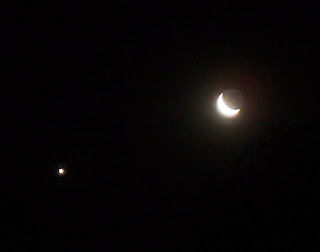 A truley superb image of Sunday nights Moon and Venus encounter from Tony Travaglia of New Zealand. Inspired by Comet Al, I've been hunting for asteroids in STEREO H1 images. This hasn't been helped by me having to do a heck of a lot of work (I'm finishing off assessment book keeping) and STEREO having its main data directory disappear. Anyway, I was looking for 5 Astraea (mag 11.8), one of Comet Al's targets. It should have been in the Hyades, but I couldn't find it. I went after 6 Hebe instead, because at mag 10 it was an easier target. Well, I found something, and it's probably Hebe. 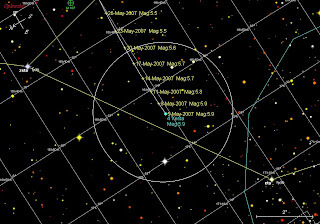 I'm using SkyMap to locate asteroids in the field of view of the H1 camera. The left hand panel shows the cropped area from the STEREO images where Hebe should be. 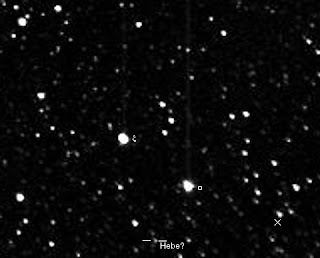 The x indicates where SkyMap says the asteroid should be, and the bracketed object is what I think is Hebe. 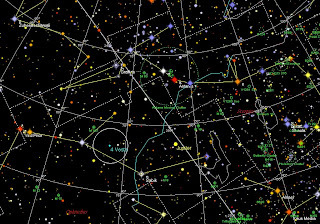 The right hand panel shows the SkyMap view, with the track of Hebe and the approximate location of the object. Here is the animation showing the object scooting along. Here's the files and object locations. Now, the object isn't where SkyMap say it is. But of course, the H1 camera isn't on Earth, but out in space some way away from Earth, so of course the asteroid won't follow the SkyMap track. So armed with this knowledge, I'm pretty sure this is 6 Hebe, and now I can go back and look for Astraea. 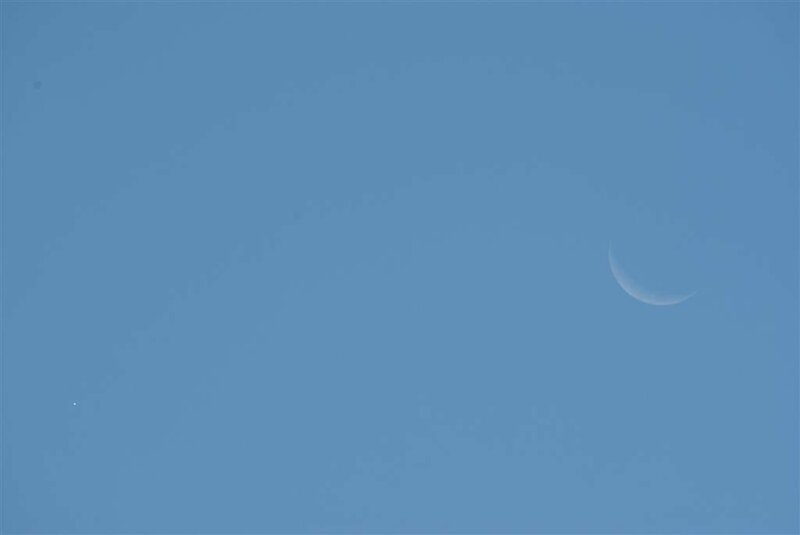 While denizens of the northern hemisphere got to see Venus and the Moon a fairly spectacular one degree apart, we had to make do with a much larger separation. I got clouded out for most of the evening, but then the clouds parted and I snapped the pair just as they were about to set (hence the lack of any interesting forground or comparison stars). Good Earthshine though. Spaceweather has a better shot, and a nice gallery of images, including one from Australia taken in daylight! The western horizon as seen in the southern hemisphere about an hour after sunset (click image to enlarge). Venus and the Moon are attractively close together, and with Orion also near the horizon it makes for a rather beautiful evening. 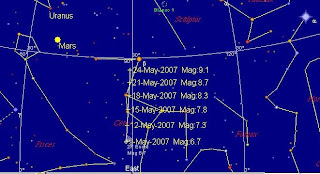 Venus is moving through Gemini and by the end of the month will form a line with Castor and Pollux. UPDATE: Hello everyone coming in from Universe Today! 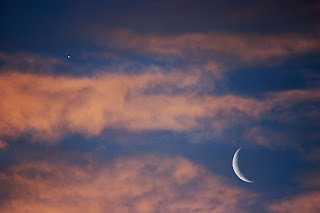 Hope you saw the Moon and Venus together, if not, check out the image I took when the local clouds finally parted. Comet Al has a brilliant animation of the tail of comet 2P Encke doing some dramatic movements. Over at the Plaentary Society Blog there is a brilliant animation of Tvashtar erupting as taken by the New Horizons probe. While we are waiting for MOST and a host of amateur transit watchers to complete data gathering on Gliese 581 to see if Gliese 581c transits, a new report comes of the smallest ever world to be seen transiting its star. Gliese 436b was discovered back in 2004, by Marcy and Butler, and lies 10.27 parsecs (about 33 light years) away in Leo. However, a European team has just reported observing a transit of this world (PDF of paper at arxiv). The observations significantly constrain the mass and radius of Gl 436b. The planet is roughly 23 Earth masses, with a radius 3.95 times Earths radius. Its mass and radius is consistent with the main component of this world being water "ice". It is also likely, according to the authors, that it has an atmosphere consisting of hydrogen and helium (accounting for roughly 10% of the planets mass), to properly account for the mass and radius. Note the scare quotes around "ice". This world will be hot, it orbits its Sun about 13 times closer than Mercury's orbit around our Sun, so its temperature must be in the range of 520-670K (around 300 deg C, that's hot). Hot and Ice don't normally go together, but the high pressures involved in a Neptune sized world may keep the ice stable at high temperature. Alternatively, Gl 436c may be an ocean world, with an atmosphere largely of steam and a surface of superhot water kept liquid by the high atmospheric pressure. Either way, this is an important and exciting find. By observing transiting "Hot Jupiters", we have been able to determine some components of their atmosphere, and make a crude surface map of one. Now we have a new class of exoplanet to study, one that is not a Jovian, and that will expand our knowledge of the structure (and possibly formation) of planets enormously. Also, the fact that Gl 436b is an ice world, means that it formed far from its Sun, and migrated to its present position. This makes it more likely that "Earth-like" Gliese 581c is an ice world that migrated as well, rather than a rocky world. For more information, see the paper. Also, the world is discussed at the exoplanet web log, at Centauri Dreams (man I have to update my blogroll) , there is an article at New Scientist, Scientific American and an account of the teams discovery at Swissinfo. Predictably, Wikipedia already has updated info on Gliese 436b. Sunspot 956 (the bright area on the left of the solar image) has been reprted by Spaceweather to have let off a C1 class flare. This was picked up by radio recivers in the US, although no flare alerts came from the Aussie IPS. Spaceweather also has a nice animation showing a coronal mass ejection blasting out towards the Pleiades (the star cluster in the top left of the animation image). 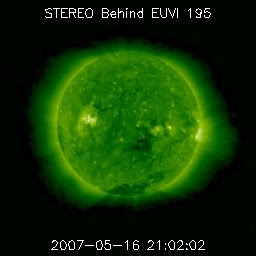 Keep an eye on Sunspot 956, there could be big thing coming from it. I mentioned that the MOST telescope was going to scan Gliese 581 to see if the planet Gliese 581c transited it. A transit would give us a far better mass and radius of the palnet, an potentailly allow us to study other properties, such as the atmosphere. However, there is only roughly a one in 30 chance that the planets orbit will be aligned so we can see a transit. may suggest they did see a hint, and are getting ready to confirm it. We will have to wait to get the official results, and I wouldn't get your hopes up from an ambigous sentence, but it would be so cool if they got a transit. UPDATE: I over interpreted the article. The MOST team are still analysing data, and will require several more observations before they can say either yay or nay. Also, eansbro has not elimainated all transits, jut one class of transit, and he will be observing again as well. So, we are still very much in the don't know stage. Venus setting above the back yard around 7 pm ACST, near Epsilon Geminorum (a mag 3 star in Gemini). Tommorow (Thurs 17th) Venus will be just 38 minutes of arc (about half a finger width from Epsion Gem. Well worth an evenings look. Then Venus zooms off into the depths of Gemini. The Moon joins Venus on the 20th. Vesta has brightened to magnitude 5.7. Not visible to the unaided eye at my suburban location, but easily visible in my 10x50 binoculars (the field of view of 10x50 binoculars is the circle on the map). 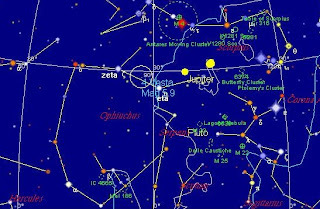 From now to the 23rd of May is the best time to look for Vesta. Vesta will be magnitude 5.5 on the 23rd, potentailly viewable to the unaided eye in suburban locations. After this the Moon will significantly interfere (although if you wait for Moonset, and are prepared to wait until the early hours of the morning, you can extend this to the 27th). If you are trying for Vesta with the unaided eye, do allow several mintes for your eyes to adjust after you have exited from lighted rooms. If you have been ususing a computer, your eyes may take even longer to adjust. Balc and white maps suitabel for printing can be found here. 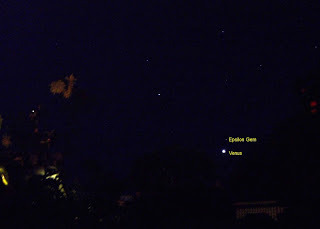 The north-eastern sky as seen from the southern hemisphere two hours before sunrise. 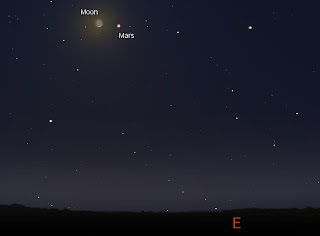 If you are an Australian, what better way to celebrate Mothers day but to show your mum the crescent Moon and Mars close together (or mum, you can show your kids as a mothers day treat). While you're there, if you have 10x50 binoculars, look for rapidly fading comet Encke in Cetus, and the asteroid Vesta over the other side of the sky near Jupiter.  This pair of dots is Alpha Centauri, as taken through "Don", the 8" scope. 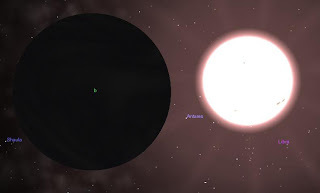 Alpha Centauri is an iconic star for me, its warm organe colour, the fact that is part of the pointers that lead to the southern cross, the fact that it is the closest star system (its actually a triple sustem, with the dwarf proxima Centauri marignally closer to us). Just 4.4 light years away, a G class star (and a K and an M) almost close enough to touch, astronomically speaking. It's easily resolved into the two broghtest components, and is the double star I take everyone to first, when I'm showing them off. 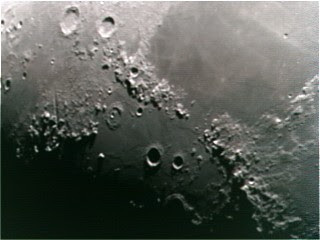 Finally after weeks of waiting, I got my first images with "Don", the 8" Newtonian I recently inherited. You can see an image with my old Newtonian taken with the webcam on the left, and the image on the right is the same old webcam, but taken through "Don" (click to enlarge). Heaps more detail in the cloud bands. And it was a very poor seeing night, lots of turbulence and the scope dripping with dew. I could have apid more attention to focusing, but I managed to knock the guide scope out of alignment, and was so releived to get Jupiter in view that I was lees concientious than I could have been. Also, the dec control on the hand piece seems to have given up the ghost. RA works fine, but it does make centring an object a trace harder. That said, clock drives rock! Not having to spend half my night fighting to get Jupiter into the webcam field of view and then keep it there there makes observing that much nicer. 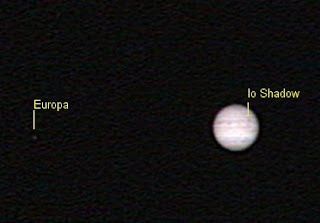 So now I look forward to doing some nice timelapse imaging of Jupiter events, or maybe Vesta, who knows! Run, don't walk, the the Bad Astronomy blog for an astounding article about mapping surface features on an extrasolar planet. The eastern horizon at nautical twilight (and hor and a half before sunrise) as seen from the southern hemisphere (click on chart to enlarge it). 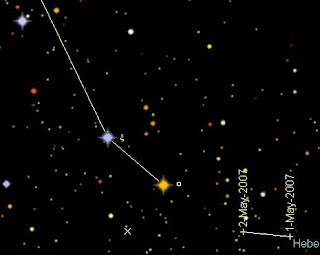 Comet 2P Encke is a short period comet that returns every 3.3 years. It was the second comet to be determined to be a returning comet. Comet Encke's return isn't particlularly favorable this year, you can now see it in 10x50 binoculars, low on the eastern horizon at astronomical twilight. Unfortunately, while the comet is relatively bright, the Moon is also fairly bright, and may make spotting the fuzzy dot of Encke rather more difficult than it should be. By the time the Moon goes, the comet will be close to the threshold of binocular visibilty (mag 8). Still, its worth a try. That's a question Discovery Insitute fellow Paul Nelson asks. I give an answer over at the Pandas Thumb. Pop over to Cometal's blog for a great animation of the eclipsing binary star RW Tauri caught in the STEREO camera. The European Space Agency has just put up some videos of the Venusian Polar Vortex taken with Venus Express's infrared camrea. The images show the huge, double eyed swirling vortex on both the day and night side of the planet. While the videos are pretty in themsleves, they are the first step to understanding the dynamics of the Venusian atmosphere. The B612 foundation (named after the asteroid The Little Prince lived on) , is a group dedicated to controlled movement of asteroids. They have released the NASA Report "2006 Near Earth Object Survey and Deflection Study" (WARNING 23 Mb PDF, not dialup friendly at all). It's an intresting read. At the very least you will learn a lot more about asteroids. The B612 foundation also have some critiques of the report. The eastern horizon around 10:00 pm as of Sunday (click to enlarge). The position of Vesta is shown with a cross. The Moon will rise later as the week goes on. I thought this photo-realistic image might complement the charts I put up to help locating Vesta. 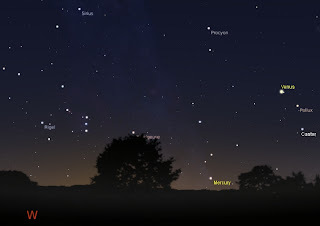 Chart of eastern evening sky as seen from the southern hemisphere at 10:00 pm local time. Every so often, the orbit of Asteriod 4 Vesta brings it close enough for it to become (just) visible to the unaided eye. This year Vesta will be at its brightest for 18 years. At the moment Vesta is magnitude 5.9, just above the visual threshold for a dark sky site (or would be if the nearly full Moon wasn't near by tonight). Later in the month, it will be magnitude 5.4. The keen eyed should easily spot it with a bit of practice. Even people in suburban sites should be able to see it, although you may need to spot it in binoculars first to orient yourself. Chart in same orientation as above, showing field of view of 10x50 binoculars (click to enlarge). It is quite easily visible in 10x50 binoculars, approximately half way between zeta and eta Ophichus. 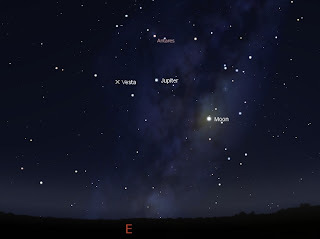 It also forms the apex of a triangle with Jupiter and Antares (alpha Scorpii) as its base. UPDATE: A big Hello! to people coming here from Universe Today. Have a look at my other Vesta spotting image. Printable black and white charts are here. The sky was clear at last, I set up "Don" the 8" scope for some some sky gazing. Of course by the time everything was set up, the sky had clouded over. There was a bonus though. Moonbows, well actually they are corona. These are produced by produced by the diffraction of light by tiny cloud droplets or sometimes small ice crystals. Ironically, I had only the other day written to someone about this relatively rare phenomenon. 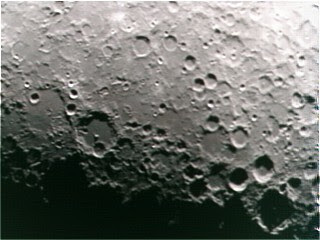 The top image is the Moon with an exposure of 6 seconds, you can clearly see the dirracted bands of colour. 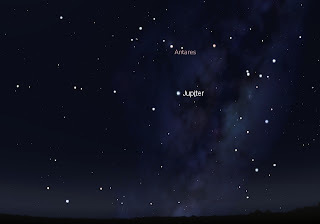 You can also see Antares and Jupiter and the stars in the head of Scorpius (click to enlarge). In the bottom image, I tried to block the Moon itself, to get a better view of the rings. I don't think it worked so well. COROT, the European space telescope dedicated to observing transiting exoplanets, has found its first planet. The planet, COROT-Exo-1b, is in orbit around a star roughly 1500 light years from us. It is 1.78 times Jupiters mass, and screams around its Sun in 1.5 days. 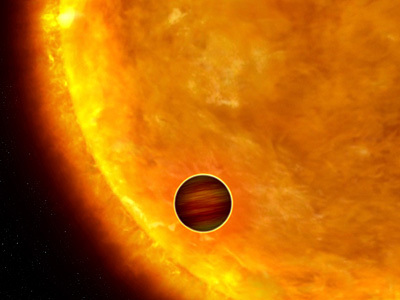 This makes it one of the "Hot Jupiters". By itself this is not so exciting, we have lots of hot Jupiters. The good news is that the scope may be as much as 10 times more accurate than expected. This means that rocky terrestrial planets orbiting red dwarfs are well within its reach. The question now is, will they turn COROT onto Gliese 581? Hat tip to Dynamics of Cats and Emily Lakdawalla, see also New Scientist. As you know, everyone has been getting rather excited about the 1.5 Earth-radius planet that has been found in the habitable zone around the red Dwarf Gliese 581. However, for all the excitement, 1.5 radi is the minimum estimate of the planets size, it could be much larger (note to Stuart, yes , I got it wrong, I misread part of the paper). Without knowing more precisely the details of its orbit, we are unceratin about its size. This uncertainty could be greatly reduced if we could watch it transit. This gives us a much better idea of its orbit and radius. The chances of a transit aren't good, as reported in the latest issue of Nature (sorry, subscribers only). There is only a one in 50 chance Eath and the Gliese system are lined up so that we can watch a transit. Nonetheless, Nature reports that Dimitar Sasselov is using the MOST system to observe Gliese 581. There is a potential transit on May 7. Lets hope we are lucky, as a transit means that we can not only be sure of the planets size, but may be able to observe its atmosphere. This would really give us an insight into planets beyond our solar system. This will be a busy weekend. Tasmanians will see the Moon will pass in front of the bright star Antares at 5:04 am on Saturday May 5. 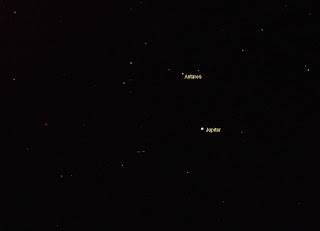 Antares reappears from behind the dark limb at 5:51 am. In South Africa the Occulataion is tonight (Friday May 4th). The Moon rises with Antares Occulted, and Antares reappears shortly after Moon rise (7:19pm on May 4th in Capetown). See here for more deatils for South Africa. Yesterday evening sunspot group 953, which is big enough to see with safe solar projection techniques, blasted out a C9.8 flare. Still don't know if there is a coronal Mass ejection from this one, but if so it could arrive on the morning of the Sunday the 6th of May. 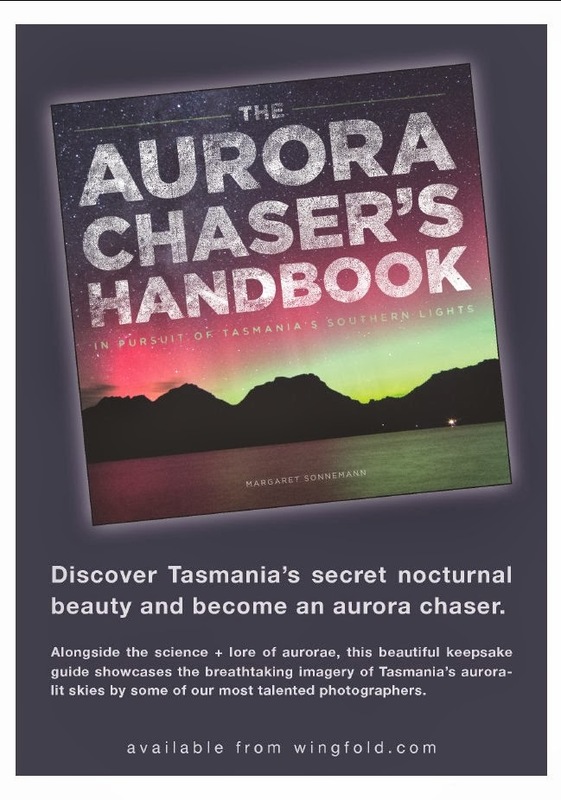 Any aurora tocuched off will be weak (Tasmania only), and dimmed greatly by the Moon. The brightness of the Moon means that the eta Aquariid meteor shower, visible on the morning of Sunday 6, will be almost completely drowned out (charts are here). Similarly, the Asteroid Vesta, which becomes theoretically visible to the unaided eye (under dark skies) on Sunday, will need binoculars to be seen. The morning of Sunday is also the first time comet Encke can be effectively see seen in binoculars (Cahrts for Vesta and Encke are here). Fellow SciNatterer Margaret Ruwoldt has ah one of her pictures put up as the Earth Science Photo of the Day. It is a field of Xanthorrhoea flowering in the Brisbane Ranges National Park after a bushfire. Cris Lawson has more and links to Margarets other photos at Talking Squid. Stuart has annonounced the May Jodcast is up. Given my new appreciation of telescopes, it is apporpriate that this one features some veru big telescopes. I've updated the Celestia ssc file for the Gliese 581 system. (The extrasolar system with an Earth-like exoplanet in the habitable zone). I've rejigged the files so there is more information in them, the info URL actually points to the right place now, I've fixed the vesion 1.3-1.4 texture bug and made some of the orbital periods slightly more accurate. Download the file Wolf_562.ssc (the alternate name for Gliese 581) and put it in your Celestia extras folder and go exploring. At the Port Adelaide Festival the previous weekend there was a dsiplay of artistic dolphin scupltures, each relecting a theme of the Port and commemorating International Year of the Dolphin and the Port Adelaide's Dolphin Sanctuary. This is Galaxia, who has galaxy symbols all over her. Sort of astronomy related. After days of pouring rain (which I cannot complain about, as we so desperately needed it), the cloud finally broke for a short while tonight. So I finally got out Don, the 8" scope (named after the family friend we bought it from). I was enchanted. I didn't have much time or scope for object choice. A quick squizz at the edge of the nearly full Moon (beautiful crisp detail, but my eyes nearly melted from the brightness). Then on to Jupiter. The planet was big and bright and it was easy to see detail in the bands. I tried out the Barlow, but the results were disappointing (as they have been for every Barlow I have tried). And the clock drive. It was a joy not to have to fiddle with the controls all the time as I took in Jupiter's bands. I can't wait for it to get dark and try it on omega centauri. On a night when I have time to properly cool the scope down, I'll break out the webcam and see what I can see. The May edition of Southern Skywatch is up now. There is an occulation of Antares by the Moon, close encounters of planets and the Moon, Comet Lovejoy's last stand and the appearance of Comet Encke. Vesta visible to the unaided eye and a whole lot more.